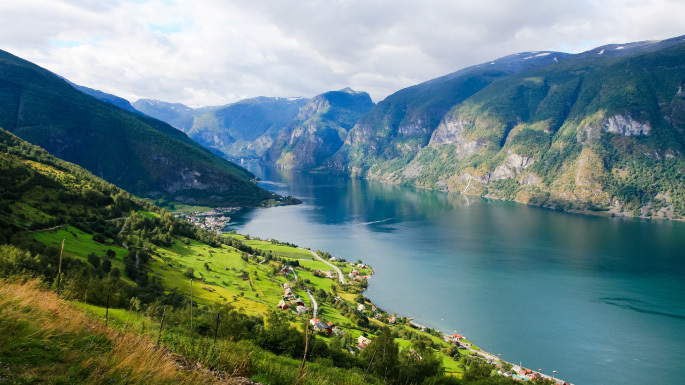 The Norwegian Fjords are a favourite amongst many cruise enthusiasts, thanks to the long, light evenings, distinctive scenery and charming ports of call. The majority of the ports visited on these Norwegian cruises are little more than a fishing town or village on the edge of a scenic inlet, and so small to midsize ships are popular choices. The intimate lifestyle on board a smaller vessel and the easy going atmosphere ashore blend well together. Enjoying the beautiful region of Scandinavia by ship does not only ensure excellent value for money but offers a host of natural wonders which are only visible from the sea. In the winter months, between November and March, there are voyages to view the glorious Northern Lights – it is well worth paying extra for a private balcony which will allow you to view the scenery in perfect tranquillity. If you find yourself pining for more fjords then why not take a look at our New Zealand cruises which offer voyages through scenery which is equally as stunning. 1 Pages. Showing items 1 to 14 of 14.